BRIGHTON, Mich.- Downtown Brighton will be shivering this weekend! No, we aren't expecting unseasonably cold temperatures. This weekend is The Polar Plunge at Leith Lake behind Brighton High School to benefit the Special Olympics, and Downtown Brighton businesses have banded together to help raise even more money! The Polar Plunge takes place Saturday behind Brighton High School, but over 30 Brighton merchants have come together to extend the event throughout the weekend to try to raise additional funds. The festivities begin this Thursday with a Polar Bear Pub & Shop Crawl Downtown Brighton. Visit any participating store or restaurant to pick up a punch card and then receive punches for each purchase or donation made that night. After reaching five punches, drop off your card at Downtown Main Martini Bar & Grill to be entered into a drawing that will take place at 9 pm. Most of the participating stores and restaurants will feature their own small fundraiser as well. The much anticipated Polar Plunge will take place on Saturday from 1pm-4pm at Leith Lake behind Brighton High School. And then the weekend will close with the 2nd Annual Polar Plunge Afterglow Fashion Show on Sunday at Downtown Main Martini Bar & Grill from 5pm-9pm. This year's show will include a DJ, silent auction, and will feature fashions from Ally's Boutique, Ally & Amy Accessories, Bink & Babs Boutique, The Brighton Tux Shop, Cooper & Binkley Jewelers, Elite Feet, Hush Intimate Apparel, Talula and The White Dress. Last year, the week long fundraiser raised more than $9,000 for Special Olympics. This year, participating merchants aim to raise between $10,000 and $12,000 throughout the weekend. 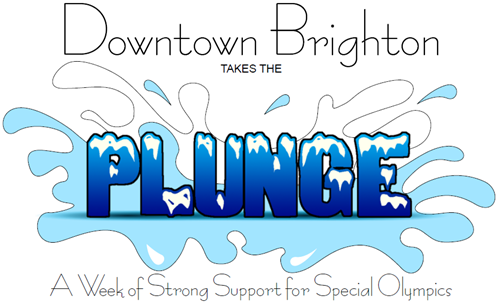 So come out to the Polar Plunge Weekend Downtown Brighton to help raise funds for Special Olympics, and have a good time doing it! If you need some heated seats to help you warm up after the Polar Plunge, check out our 2013 Ford Expedition Brochure at your Brighton Area Ford Dealership! Brighton Ford is located at 8240 Grand River Ave. just north of I-96 in Brighton. We are a family owned and operated business that strives on customer satisfaction. For more information on Brighton Ford visit BrightonFord.com or give us a call at (800)-836-8206.